It’s Like No Other Mattress. That’s because TEMPUR® material is not typical memory foam. Our proprietary formulation changed the way the world sleeps. And it can do the same for you. TEMPUR® material responds to your body’s temperature, weight and shape for truly personalized comfort and support. 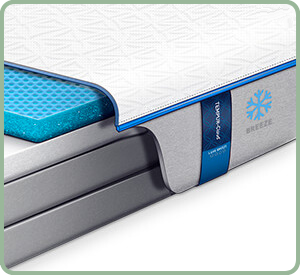 Please visit Wood River Mattress to learn more about these amazing mattresses. We offer immediate order and free local delivery on all Tempur-Pedic mattresses. Do you already know the model you want? You can call us today and place your order right over the phone, all national sale pricing and incentives apply too! Some mattress stores just sell rectangles; we don’t. We take sleep seriously, every customer is special and is properly evaluated and fit for the right mattress. Since 28 years of your life will be spent sleeping what you sleep on is of key importance, a bad mattress can make for a bad day, the right mattress can regenerate the body, making your waking day more energetic and productive. We’re here to help you find that right mattress, what are you waiting for?